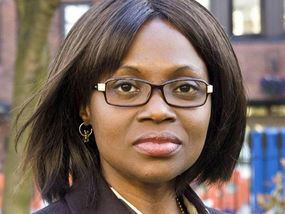 Lillian Ladele, a Christian registrar at Islington Council in north London, was threatened with the loss of her job after refusing to carry out what she considers “sinful” homosexual marriages. The incident occurred after she had asked to be excused from conducting civil partnerships for gay men and women because of her deeply-held religious beliefs. However, her bosses gave her an “ultimatum” to perform the ceremonies or face dismissal for gross misconduct, and was treated like a “pariah” by colleagues when she refused. “I felt harassed and victimised,” she said. “I was being picked on on a daily basis. There was no respect whatsoever for my religious beliefs. Miss Ladele accused gay colleagues of “stirring up religious hatred”, adding: “I felt like I was being thrown before the lions. Hundreds of gay couples have married at Islington town hall since the law was changed in December 2005 to allow civil partnerships. Could we see the same scenarios begin to occur in California where the law was just recently changed to allow homosexual marriages? Original story at The Daily Express.